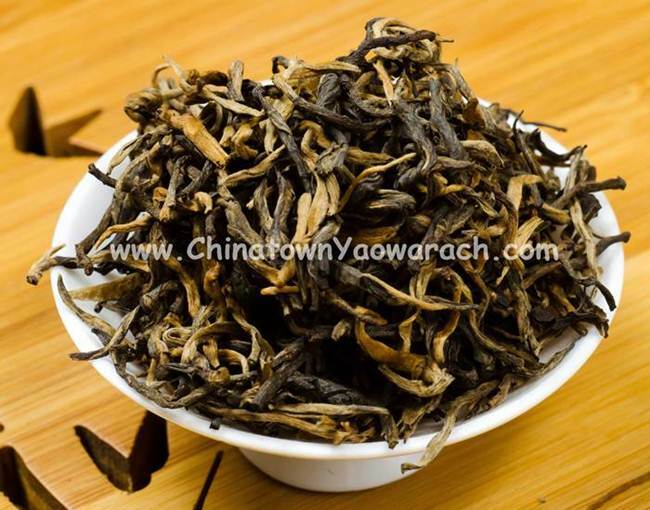 Red/Black Tea B. has very little stripes on its twisted leaves covered with golden fur. Bottom of leaf is red. 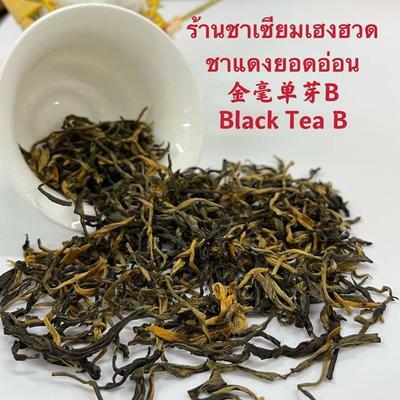 Tea liquid is a transparent red color with rich aromatic taste.